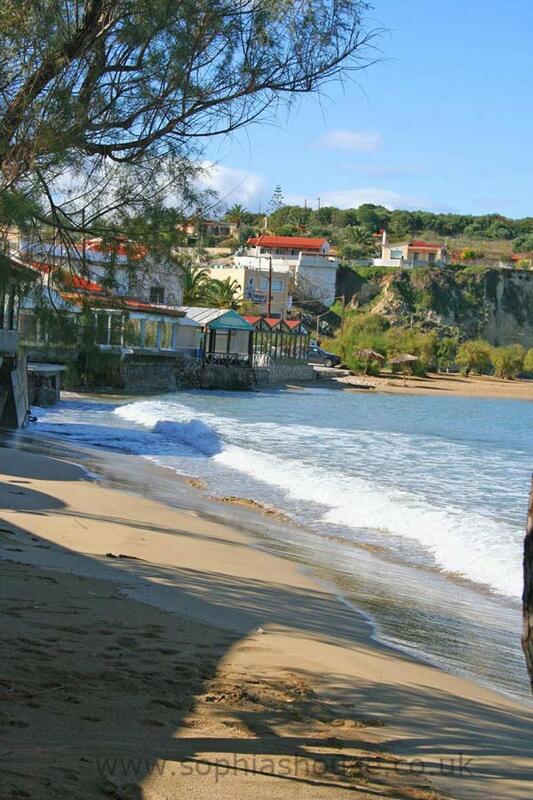 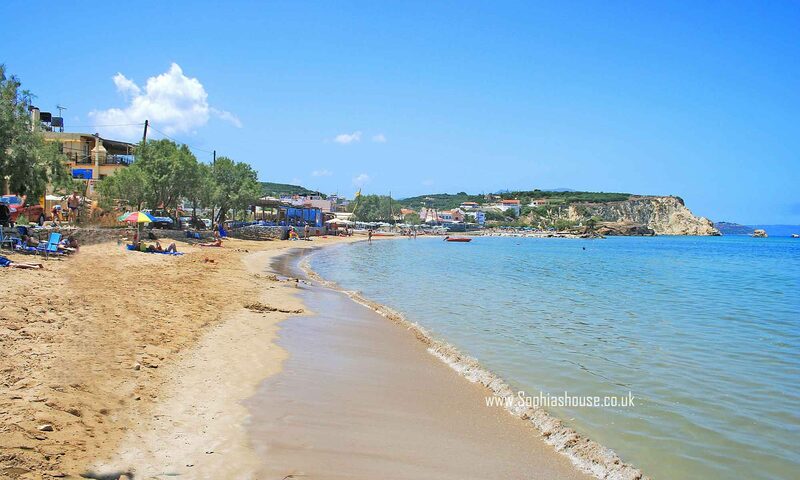 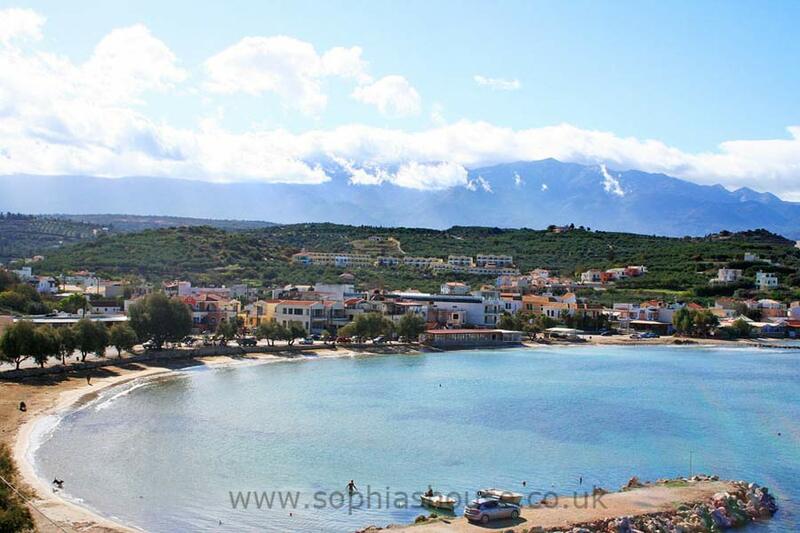 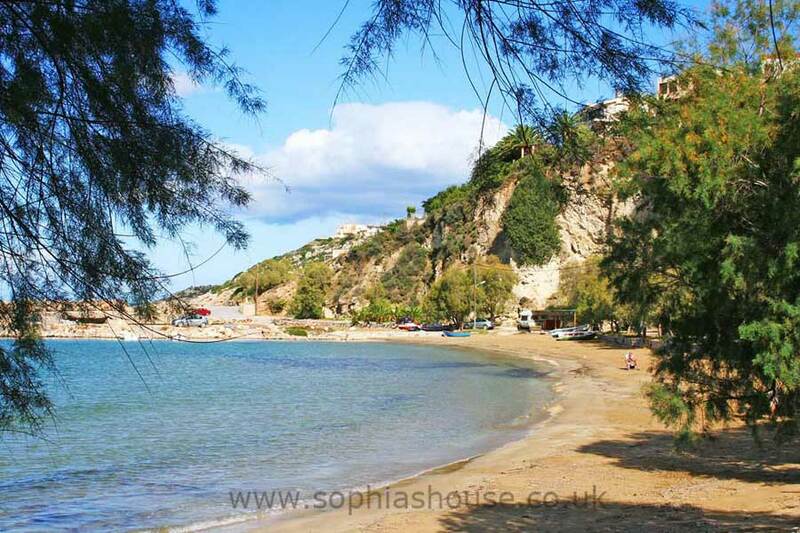 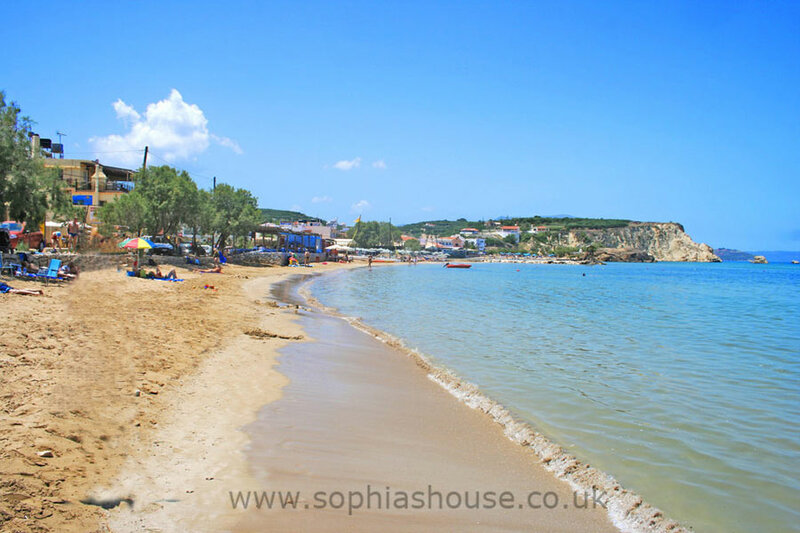 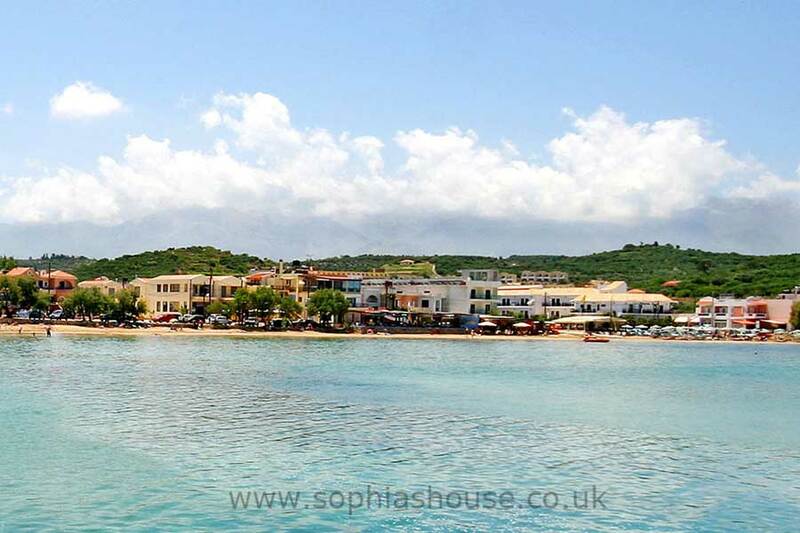 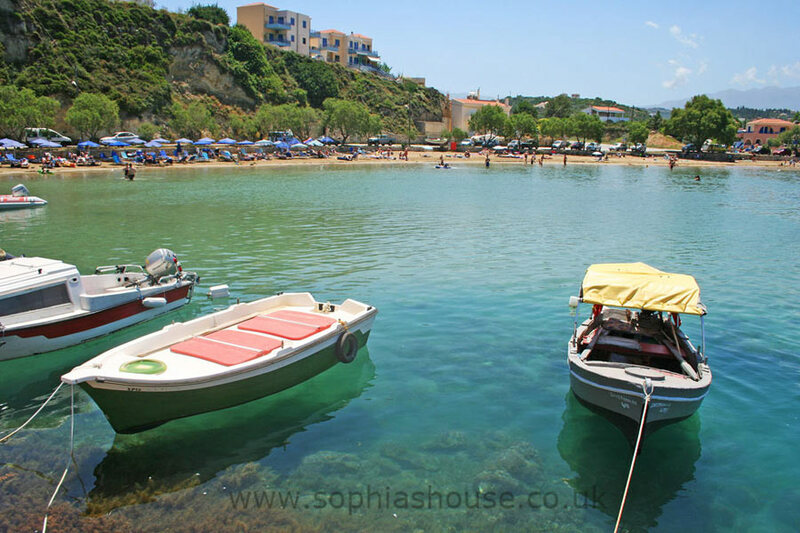 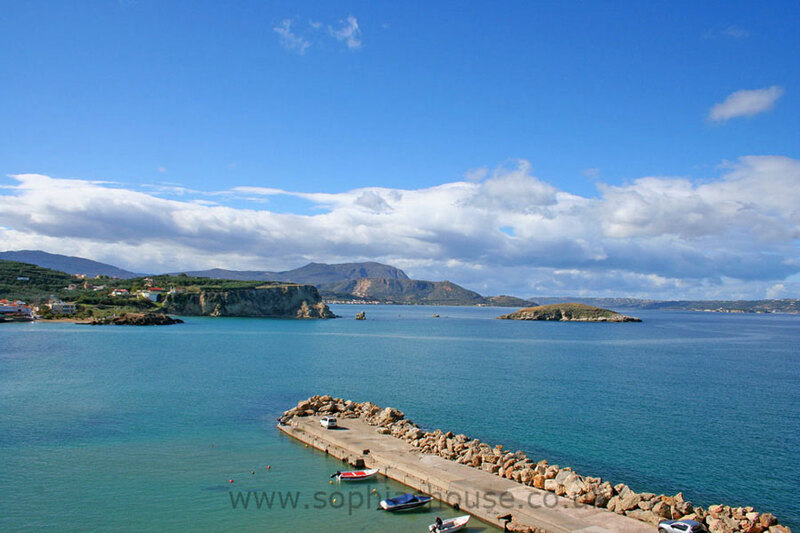 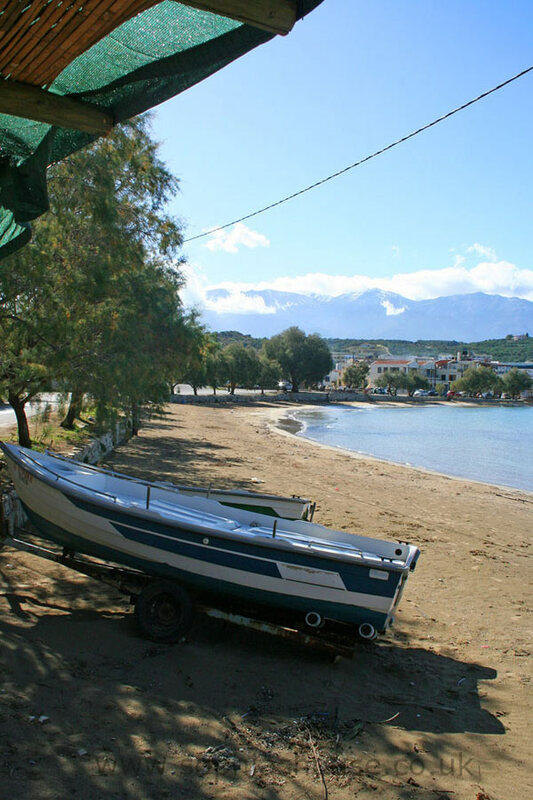 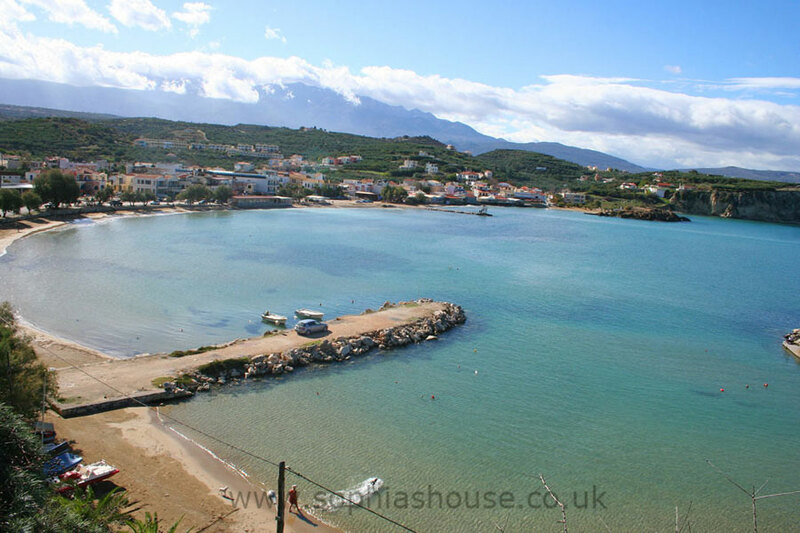 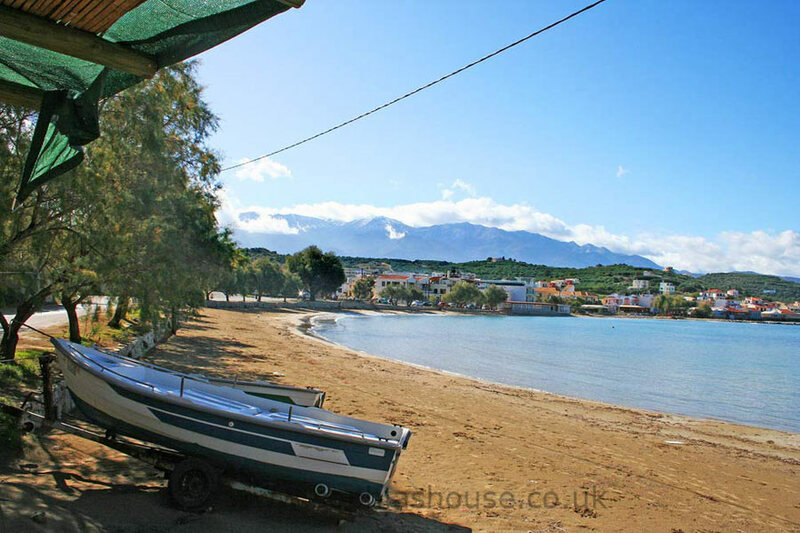 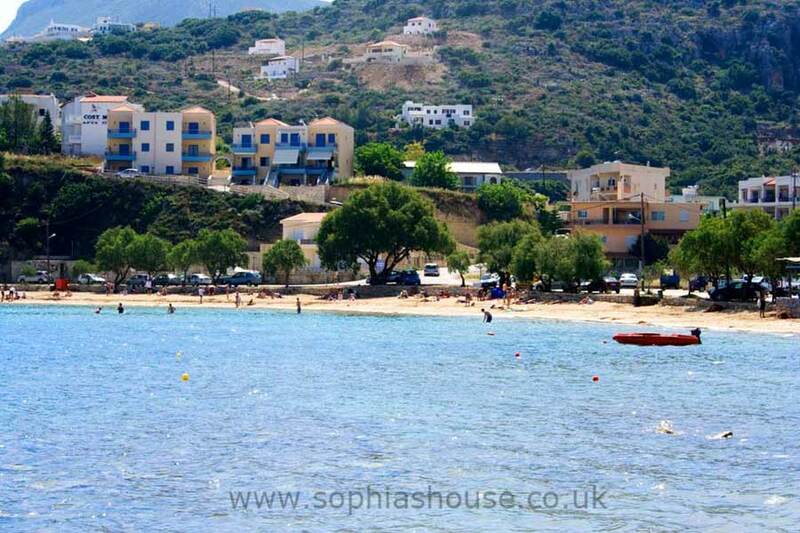 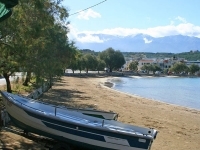 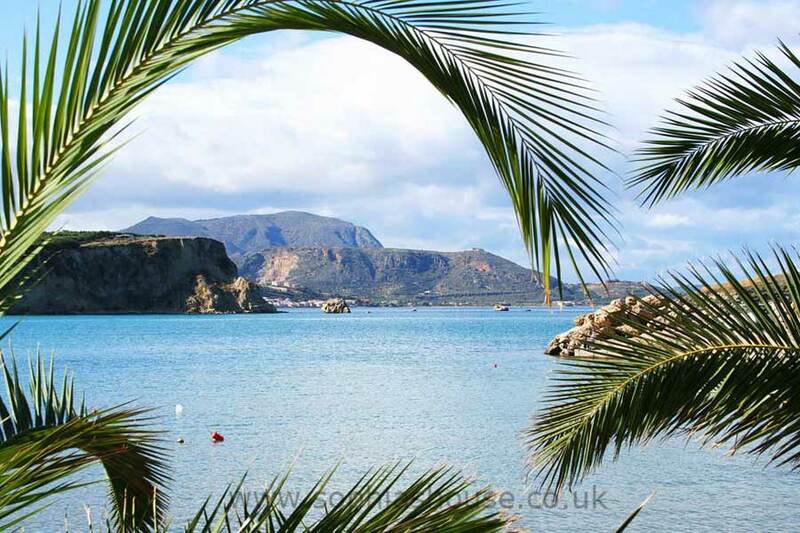 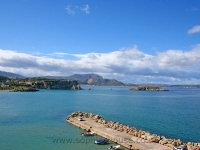 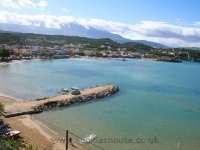 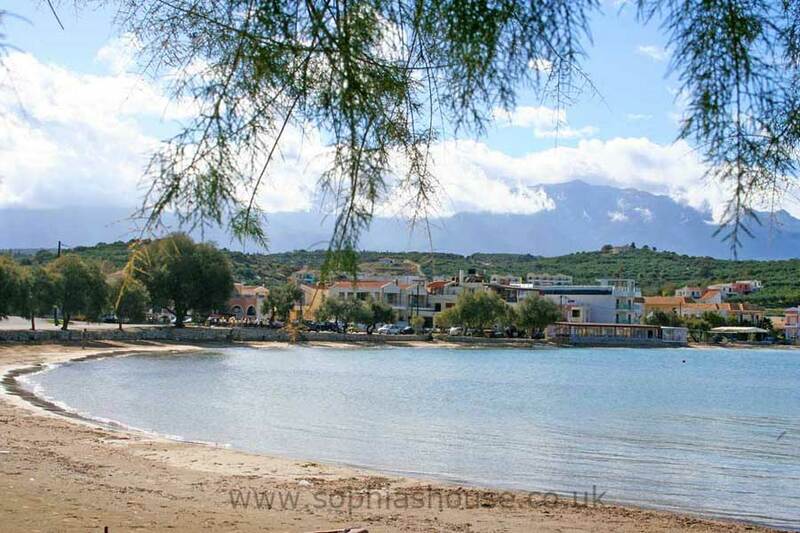 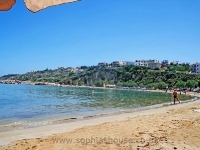 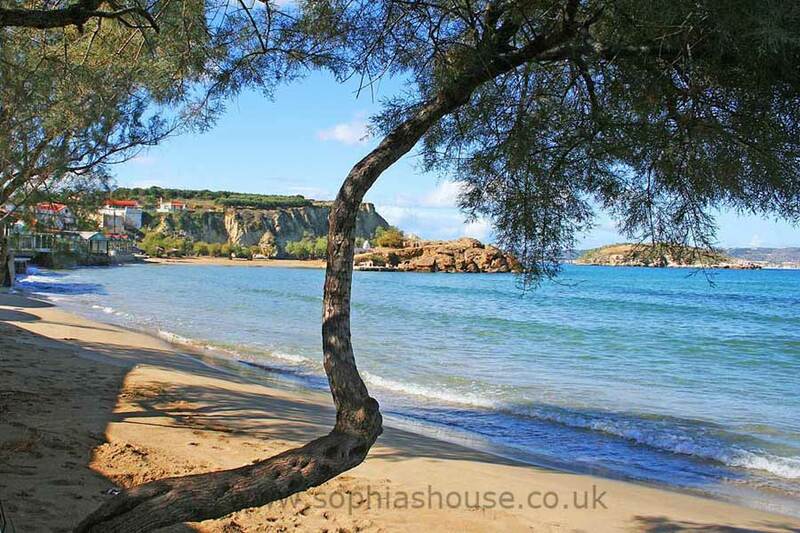 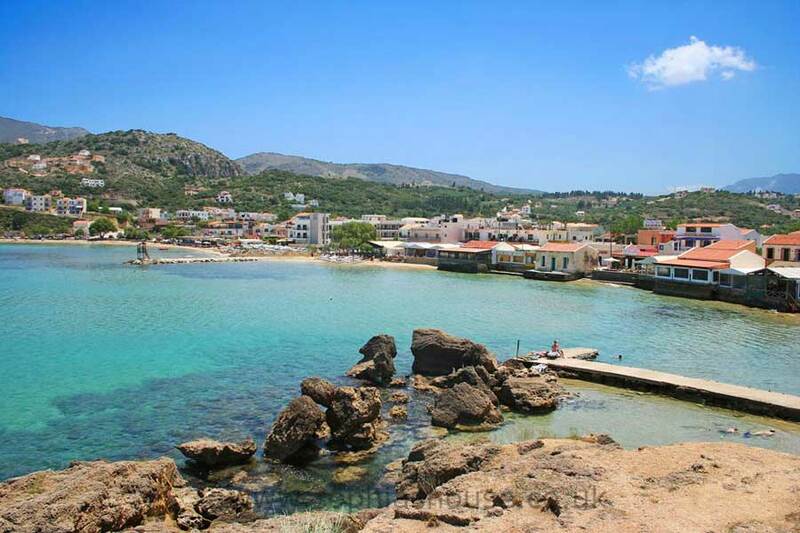 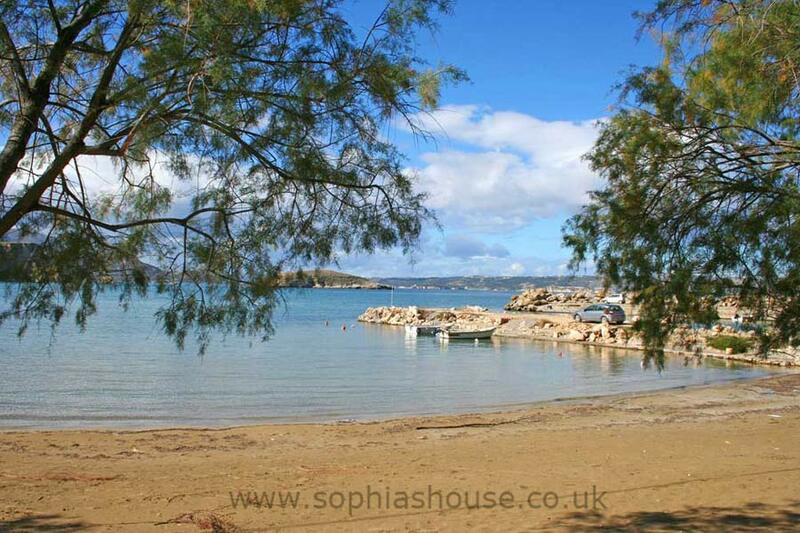 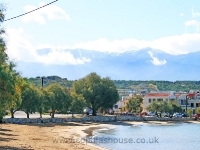 Almyrida is a pretty sea-side village in western Crete, with a little harbor, wonderful family friendly blue flag beaches and a variety of water sports. 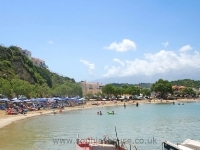 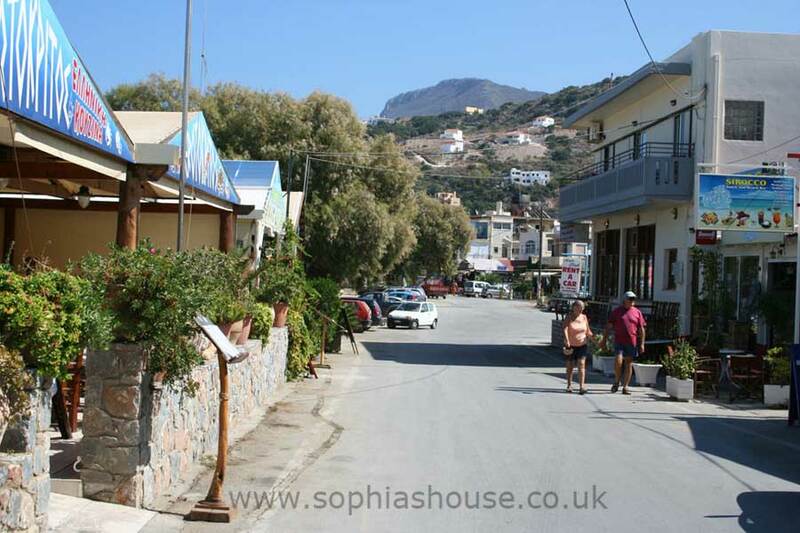 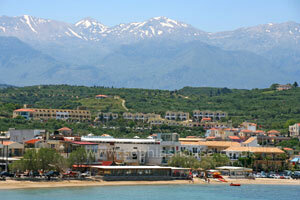 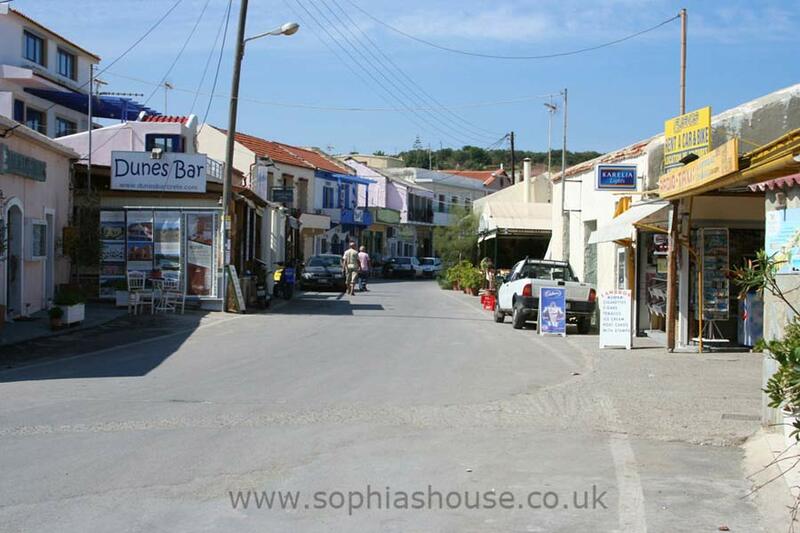 There are plenty of friendly Taverna’s and shops. 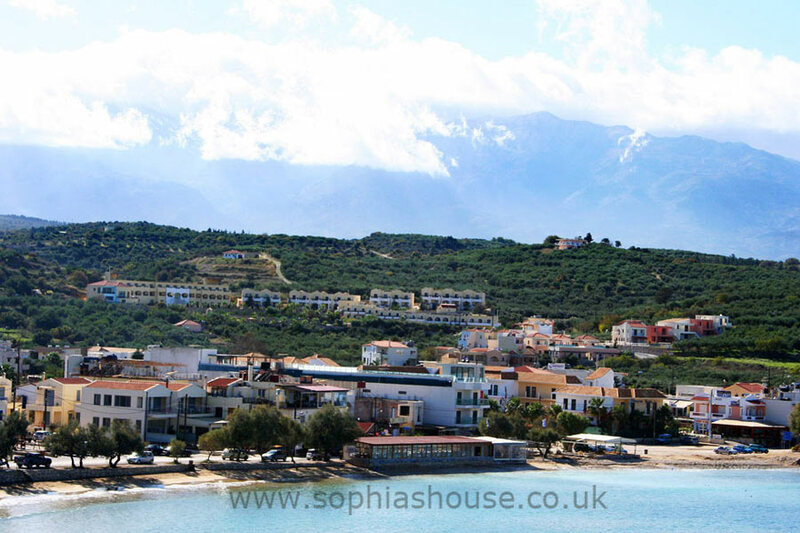 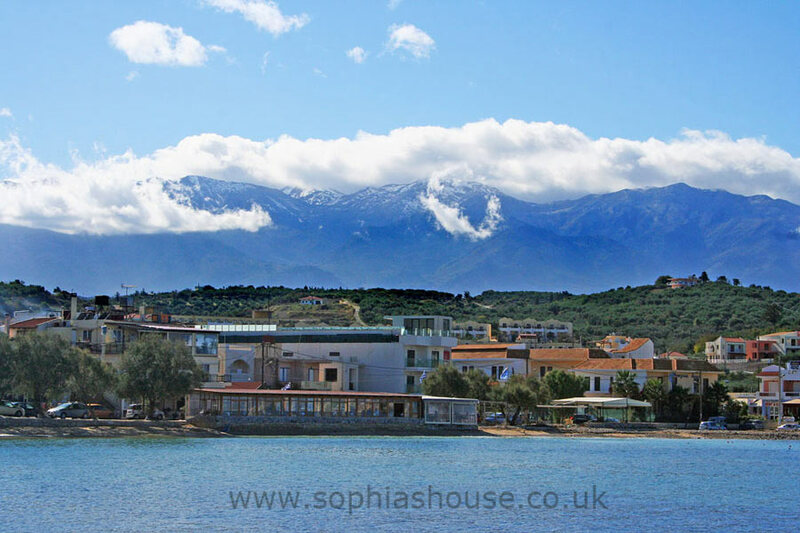 The local area is fabulous, with it’s picturesque little villages, and glorious views of the majestic (Lefka Ori) white mountains. 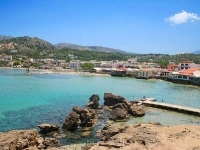 On the outskirts of Almirida, on the way to Kalyves, Mosaics and tombs of a fifth century church have recently been discovered. 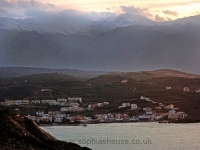 The Turks and the Greek revolutionaries staged their last struggle at Almerida in 1896. 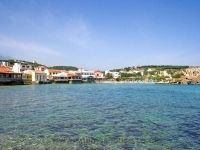 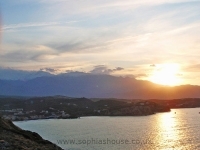 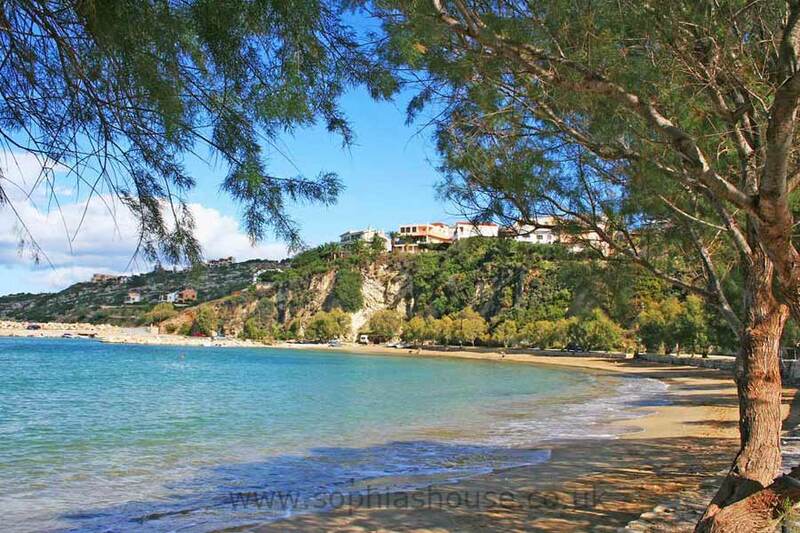 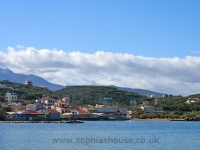 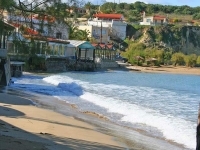 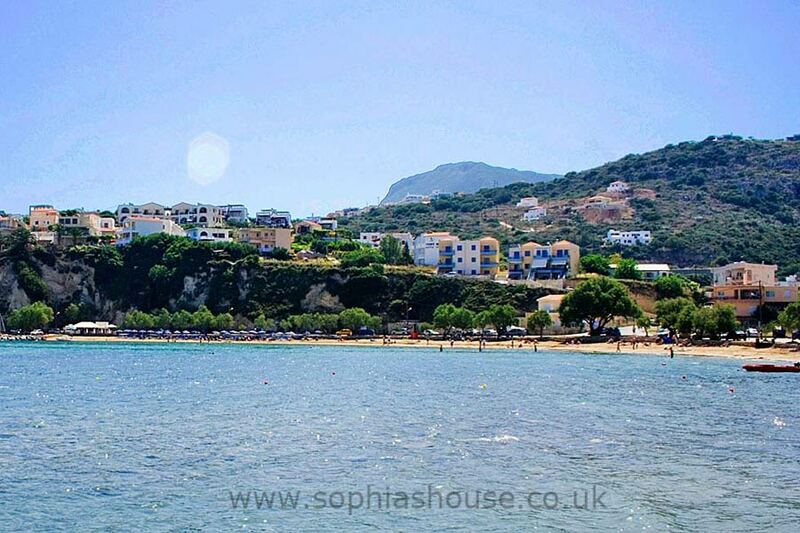 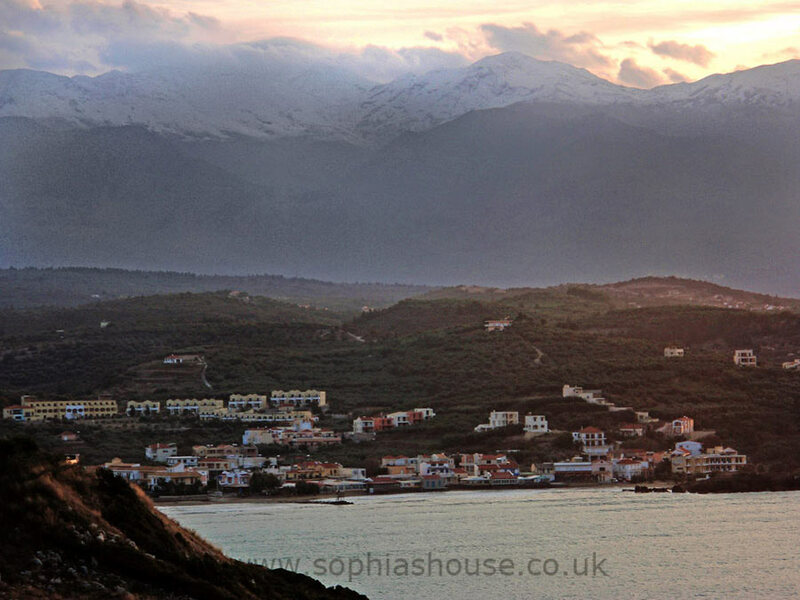 Zorba the Greek was filmed near to Almyrida, in the small village of Kokkino Horio. 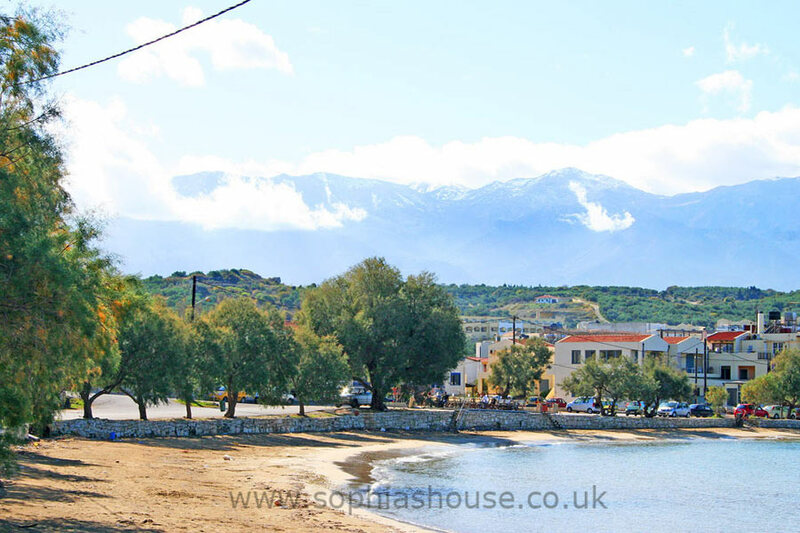 There are many interesting little villages and historical sites in the vicinity, along with museums and craft workshops that you can visit, such as the glass factory at Kokkino Horio, or the silk weavers at Kalamitsi and traditional lace making at Gavlahori. 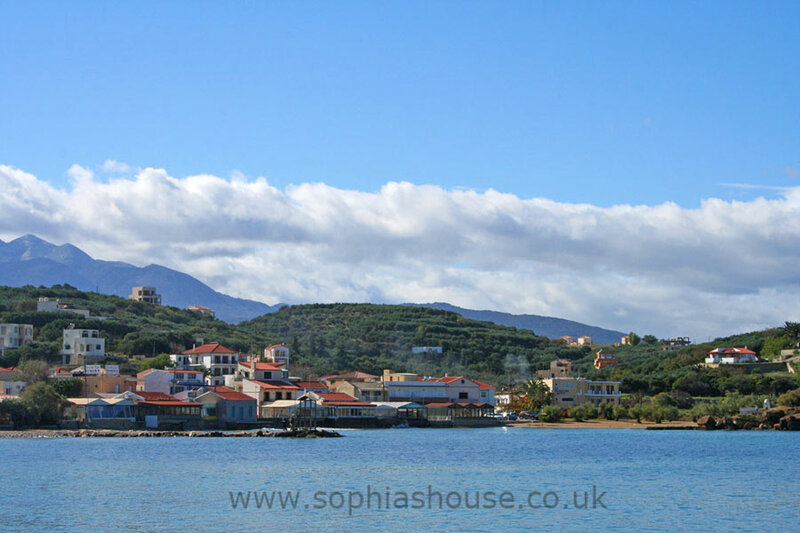 Chania, Crete’s old capital, is only a 35 minute drive away, It has many attractions to suit everyone, be it shopping for souveneirs, leather goods or having a relaxing lunch at the harbour side, avisit to the naval museum or a boat trip, what ever takes your fancy, Chania will provide. Aptera, A ruined ancient city, lies along the road from Almerida to Chania,It is one of the most important historical sites on Crete, and with it’s glorious views over Almerida, Souda bay,and the White Mountains it is worth a visit. 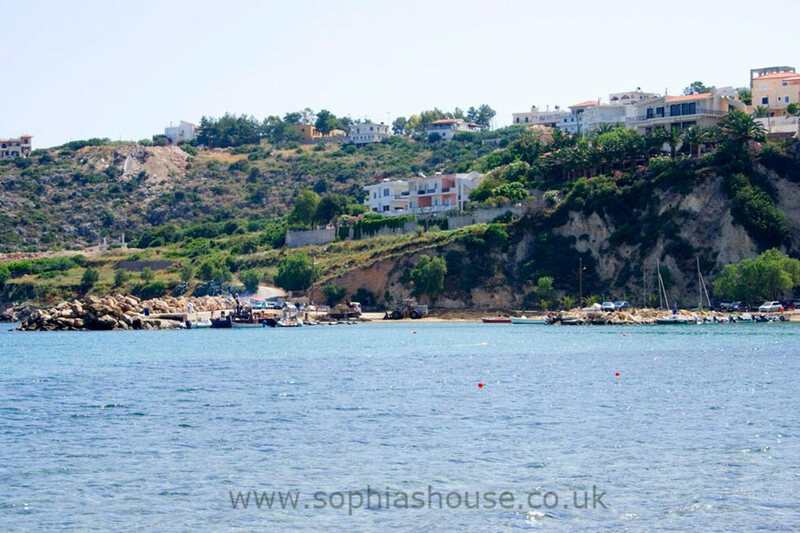 parking is easy and you can drive all the way down to the Turkish fort and enjoy the scenery. 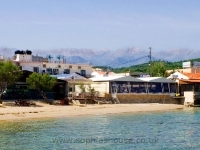 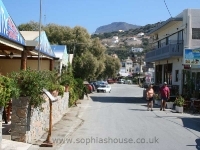 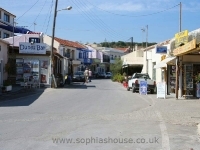 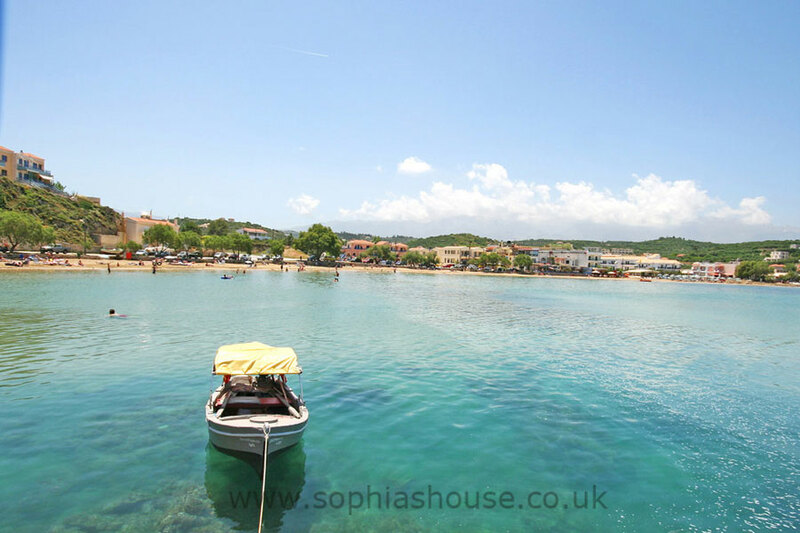 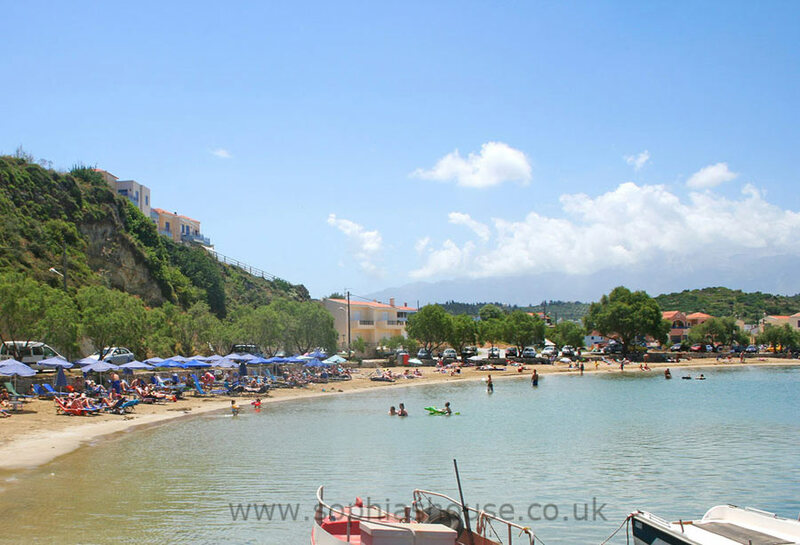 Almyrida’s taverna’s, cafe’s and shops have friendly service and cater for all needs, whether you just want a loaf of bread or internet connection you will find it here. 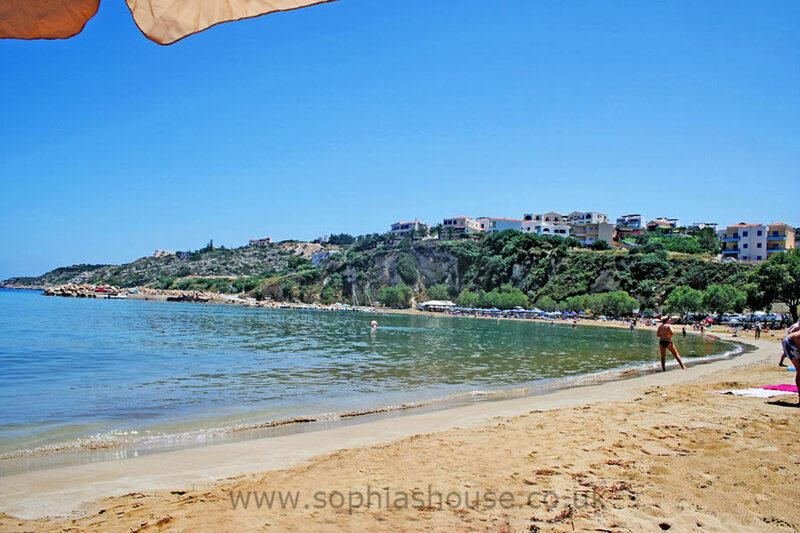 If you want somewhere to de-stress and unwind then this is perfect, laze away the day on the beautiful beaches, taking the occasional dip in the Agean just to cool off. 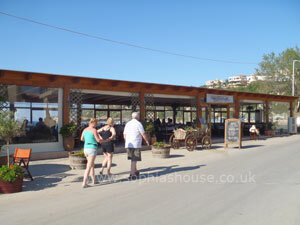 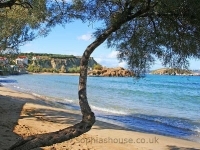 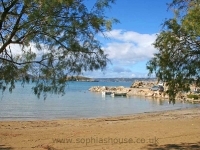 or maybe take a long lunch at one of the many beachside taverna’s, Greek salad and local wine or a bottle of “Mythos” lager YUMMY! 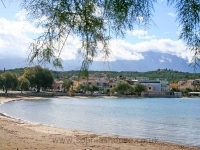 Because Almirida is close to the national road (Crete’s main highway) it is an ideal location from which to explore and discover the many attractions of Crete. 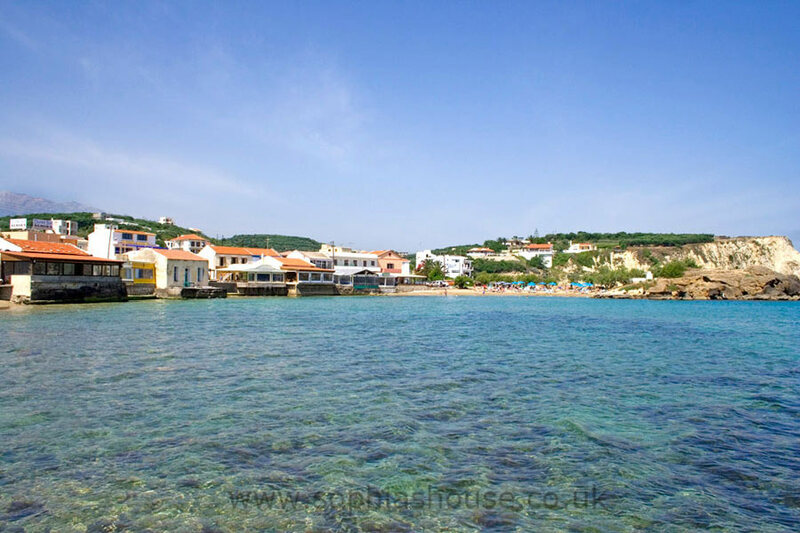 It is easy to visit the southern and western coasts of the island from here, Take a trip to Elafonissi or fallasarna beaches, or head to the east and seek out the wonders of Knossos and Phaistos or the museums in Heraklion. 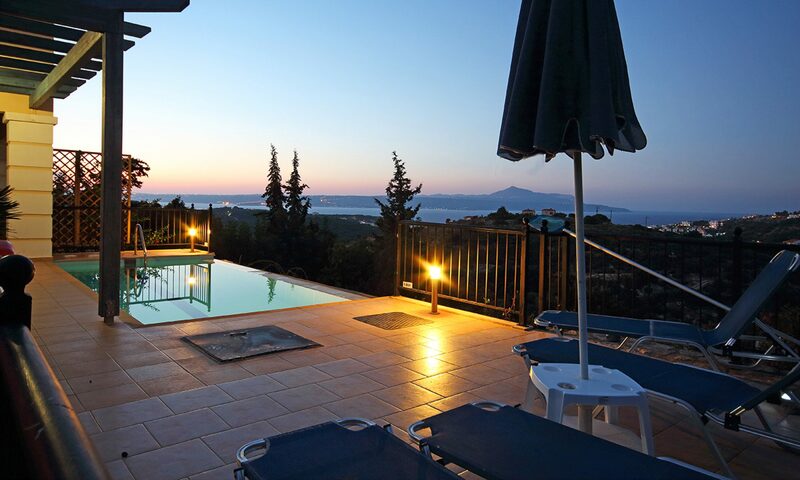 You can rent a private villa here with its own heated pool, from owners who would be pleased to share their expert knowledge of the island, it’s beaches, historic sites, or simply somewhere to eat!